The photo id for this photograph is 50, in the Trains and Railway Lines album. 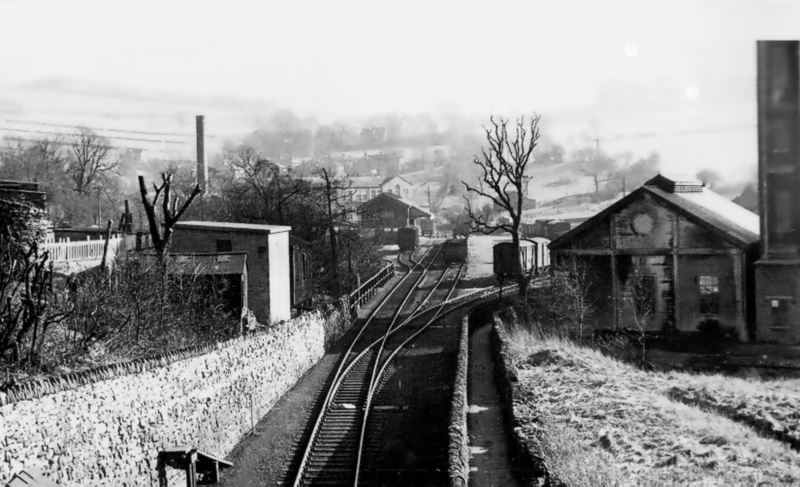 Here is a picture looking towards Shallcross sidings, taken in March 1956. The route of Shallcross Incline can be made out in the distance, in line with the two straight sidings. This incline was closed in June 1892.